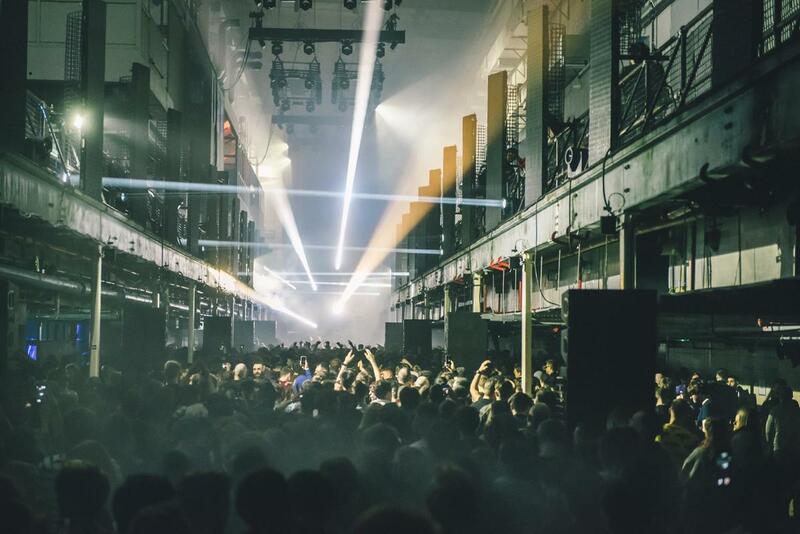 Ben Klock’s label Klockworks presented its Photon clubnight for a second time at Printworks London on Sunday, April 1st hosted by The Hydra. The daytime party saw Klock joined by Rødhåd, DVS1, Surgeon, DJ Nobu, Etapp Kyle and more. Ann McManus was there. Klock has composed Photon to be a show that marries excellent techno music with a masterclass of light display art, all interacting. 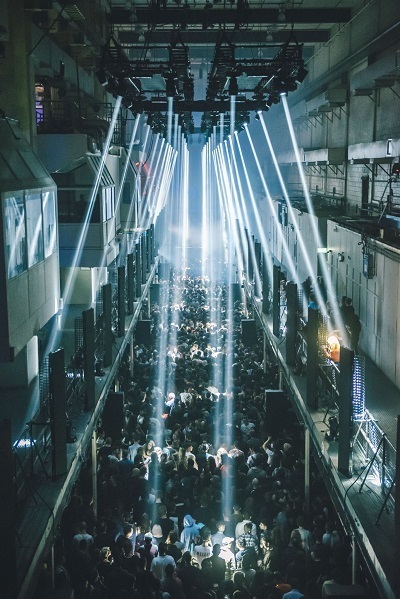 Easter Sunday saw London borrow a few of Berghain’s mainstay DJs, drawing them from one techno temple to another with Printworks London playing host. Since launch, Printworks has experimented with various ways of using the abundance of space outside the Press Halls. This week an Ambient Floor had been introduced, serving as a chill out area for those moments a break from the crowd and revery of the Press Halls is needed. This was a rare understanding that when party people want a rest from standing they do not necessarily want a break from the music and the Ambient Floor was serving up a dark, melodic techno courtesy of Sigha when we stopped by. Despite the mood being distinctly calmer here, the steady supply of top notch beats meant a few groups were basing themselves there for a dance, enjoying the space. We had delayed heading into the midst of the Press Halls as the lockers had sold out, leaving us with bags and jackets. Some people stayed queuing for a locker for at least the hour so we kept popping back to check. Unfortunately, it didn’t look as though any solution to the issue would be offered so we arranged our things as best as we could to avoid bashing the compact crowd and manouvered our way into the centre to catch the opening of Surgeon’s live set. 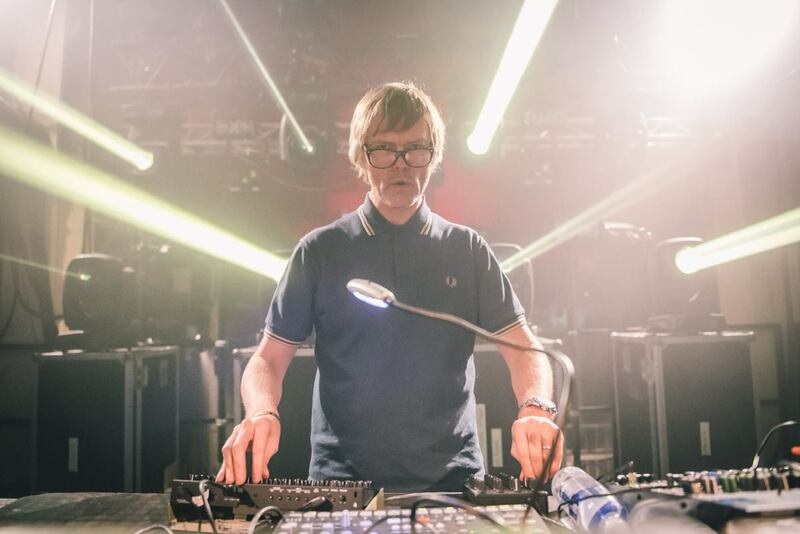 Like an approaching thunderstorm, Surgeon rumbled into action starting low on volume and bass and building up, his bpm consistently fast and furious. Around us in the crowd the energy was peaking. A neighbouring dancer spouted compliment upon compliment for Surgeon, reassuring us that Surgeon had been this good from the first time he saw him 20 years ago. It was an impressive set, made even better by the stellar light show - the transitions were so seamless that every track melted into the other perfectly, but the relentless beat and undulating baseline kept things exciting and maintained the energy. DVS1 followed, moving the baseline to the forefront of the sound and sampling every sound feasibly absorbed into the techno tapestry. The lights switched from green to white vertical strobes as Ben Klock took to the decks. As the Klockworks label leader, Klock has composed Photon to be a show that marries excellent techno music with a masterclass of light display art, all interacting. In sharp contrast with Surgeon, Klock punctuated his transitions distinctly. Both styles demonstrated a huge amount of skill. 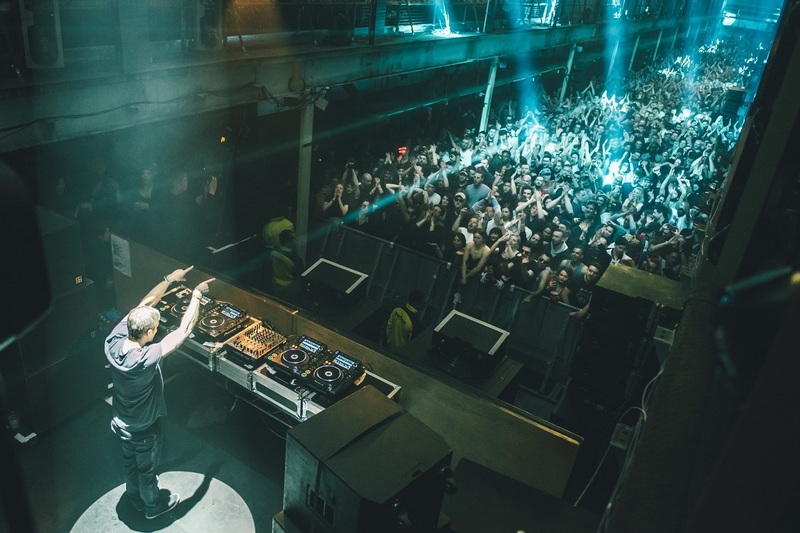 Klock switched tracks and dropped bangers in a manner that highlighted his adept knowledge of techno, his clear interaction with the crowd dictating the time he chose to switch. We made to leave, holding back a little because, from past experience, Klock has played a surprise encore - my favourite of all time being his rendition of DJ Deon’s ‘Freak Like Me’ in The Moat at the close of Dimensions. On this occasion, Kenny Larkin’s ‘Loop 2’ was a beautiful way to revitalise the crowd after a long stint of heavily industrial techno. We exited ready to take on everything else Easter weekend had to offer!